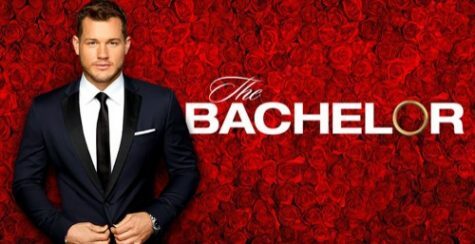 Week nine of “The Bachelor” began with the girls and Colton traveling to Portugal. Colton took Tayshia on a helicopter ride to a little picnic in Cabo Sao Vincent. During dinner, Tayshia opened up about her ex-husband and how their relationship ended and how her hurt has helped her become the woman she is today. After this, Colton promised if it is the two of them who get engaged at the end of this, he would never step out on their relationship. The next day, Tayshia told Colton she loved him, and Colton said in his interview he is falling in love with her, but he cannot help thinking about his other two relationships. Colton’s next overnight date was with Cassie, and they drove around Portugal to Tovaria where they went shopping. During an interview, Colton describes everything he and Cassie were doing as what he wanted to do with his future wife, and he now knows for sure he loves her. During their conversation, Colton told Cassie he did not receive her father’s blessing which surprised her. She and her dad had the same idea, which was she did not have enough time to truly get to know someone she could marry. I agree with them because marriage is a lifelong commitment, and they have limited time to figure out if they are meant to be together. Cassie was discouraged by Colton not telling her he did not get her father’s blessing, and I do not blame her for being upset. Since he did not tell her, she began to question if they should continue dating. I did not expect Cassie’s dad to show up in Portugal, but he and Cassie’s conversation looked like it helped her figure out the answers to some of the questions she has been asking herself this whole time. After talking to her dad, Cassie did not appear to be ready for a proposal at the end of this because of all the doubts she has. Cassie told Colton she was not in love with him, and she did not know why. I am glad she was honest with him about her doubts and feelings, but Colton was so blindsided, I felt bad for him. Cassie deciding to send herself home was surprising to me but was even more shocking to Colton. He was so excited about their relationship and was so confident when he said “Cass is the one. I love Cassie, and I want to be with Cassie.” After Cassie left, Colton did what we have all been waiting for all season. He jumped the fence and left the resort. I thought it was hilarious when Chris Harrison and the rest of “The Bachelor” staff were running around looking for him in the middle of Portugal. Although it was exciting to watch, the jump was too hyped up, and I do not think it lived up to all of the excitement. Next week is the finale and at this point, I have no idea what is going to happen because I was certain Cassie would win. I am interested to see who Colton will propose to at the end, if anyone.